Our School Can Awards - NEW for 2019! Could you win an Our School Can Award? Active Dorset would like to recognise and reward schools for the many ways they inspire pupils to be more active, on a regular basis. The Our School Can Awards are new for 2018-19, and a great opportunity for schools to showcase what they do well! Our School Can Inspire Active Lunchtimes. Our School Can Inspire a Change 4 Life Club. Our School Can Design an Innovative Curriculum to Engage all Learners through Physical Activity. Our School Can Inspire Young People to engage in Leadership for PE, School Sport and Physical Activity. Our School Can Inspire Inclusive Opportunities for all Young People. The Application Process - for all schools! Choose an award category to apply for from the choices listed above. Write a short case study using the on-line template provided. Please see the link below to access the template. Submit your case study by 4pm on the closing date - Friday 28th June 2019. The applications are judged by the Dorset Young People's Local Organising Committee (DYPLOC) in July 2019. Application results are known by 31st August 2019. All schools will be contacted with the results by 6th September 2019. Successful schools will be invited to attend the Active Dorset Schools Conference on Friday 27th September in Queen Elizabeth School, to receive their award. So please reserve the date! Select your category and write your case study. Submit your case study on-line by Friday 28th June 2019. Save the date for the Awards Ceremony at the Active Dorset Schools Conference, on Friday 27th September 2019. Wait to hear if you are successful on 6th September 2019. The 'Our School Can' campaign is free, new and exclusive to Dorset schools! 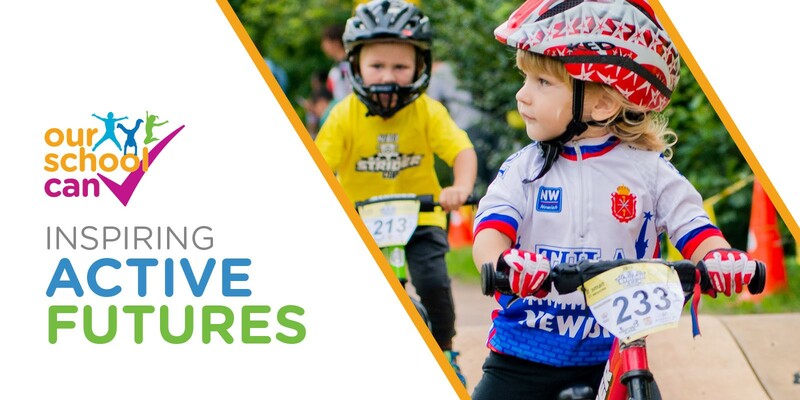 It has been launched by Active Dorset to showcase the important contributions that physical activity, PE and school sport can make to improve the enjoyment, health and well-being of young people's lives in Dorset. Inspire active futures in your school! Inspire other schools with your ideas! Inspiring active futures is what 'Our School Can' is all about, so start today and create your Pledge! Listed below there are 5 simple steps to follow to begin your journey. 1. Consider how you can influence new healthy, active choices for the children, young people and colleagues in your school. Increase whole school activity during the school day with a Daily or Golden Mile! Consider new ways to entice children and young people to be active in your school playgrounds and open spaces! Introduce Change 4 Life club! 3. Unite together to create a unique 'Our School Can Pledge' for your school in 50-80 words. 4. Post your pledge on your school website and invite your school community to follow the journey! To do this, simply scroll below to download a copy of the Pledge Card. If you have your 50-80 words ready, please click here to submit your pledge online - thank you! 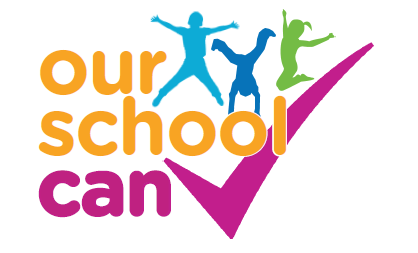 Use the Logo - If you'd like to use the official 'Our School Can' logo to promote the campaign in your school, then simply get in touch! It's ideal for school letterheads and certificates. Book and Borrow - We have promotional banners and flags which are free for you to book and borrow for an assembly. All banners and flags are appropriate for indoor use. Arrange a Visit - If you would like us to send a member of our team to visit your school and support an assembly, do get in touch. A Pledge Gallery to search for ideas from schools in Dorset, to inspire you! Our School Can Awards to celebrate the impact which an individual pledge has had on a particular target group, or across the whole school.